Thanks to CounttheCosts initiative parter organisation, the Hungarian Civil Liberties Union, for production of this excellent new short film that considers some of the human rights costs of the war on drugs. For more detail on this issue please visit the resource collection at the CounttheCosts website, including the Human Rights briefing (available in English and Spanish). 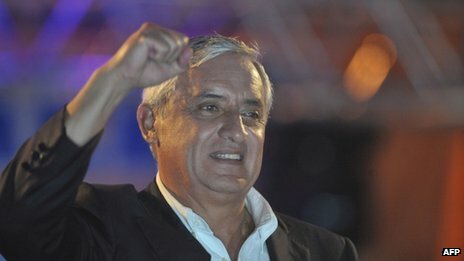 "Guatemalan President Otto Perez Molina said Saturday he will propose legalizing drugs in Central America in an upcoming meeting with the region's leaders.Perez Molina said in a radio interview that his proposal would include decriminalizing the transportation of drugs through the area." He is reported as saying that "I want to bring this discussion to the table,"... "It wouldn't be a crime to transport, to move drugs. It would all have to be regulated." . Although no more details about precisely what regulatory models he may suggest have emerged, he said his proposal would be discussed with Salvadoran President Mauricio Funes when Funes visits Monday. He was also critical of the failings of the US drug war, stating that; "There was talk of the success of Plan Colombia but all it did was neutralize big cartels,", and blamed drug cartels for the spiralling violence in Guatemala - presumably a key driver for this latest positioning. It will be interestig to see if he is willing to pick up the baton on this issue and help develop a more solid regional reform block willing to move things forward with the US and on the wider international stage. It was reported in El Universal on 6 Dec 'Frenar consumo de droga o regularlo, exigen paises a EU' and in the Washington Post on 19 Dec 'Latin American leaders assail US drug 'market'', but has had no international pick up beyond. What is remarkable is that the call to reduce demand (that no one would take issue with in principle) comes with the caveat that there is little evidence that this is possible, thereby leaving the call to explore alternatives - including 'regulatory or market oriented options'. 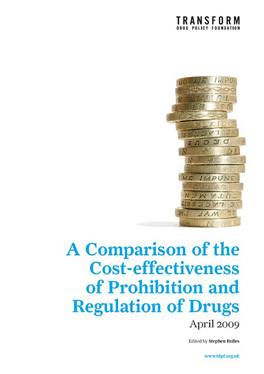 This is in effect, an unambiguous call to legalise and regulate drugs. This is a fairly standard construction of the issue (similar to that adopted by Calderon recently) to avoid using the loaded term of 'legalisation' (something Colombian President Santos has been less hesitant about). The statement is a clear acknowledgement of the often unspoken understanding that the war on drugs is fuelling much of the violence and chaos in Latin America. This then is a very clear call on consumer countries to take the lead in ending the war and replacing it with a legal system of regulation and control. The summit was attended by the Presidents of Guatemala, Alvaro Colom; Honduras, Porfirio Lobo; Mexico, Felipe Calderon; Nicaragua, Daniel Ortega; Panama, Ricardo Martinelli; the Dominican Republic, Leonel Fernandez; and the First Vice President of Costa Rica, Alfio Piva Messer. Also present were the Foreign Ministers of Belize, Wilfred Elrington; Colombia, Maria Angela Holguin; and El Salvador, Hugo Martinez. Chilean President Sebastián Piñera was also present as a special guest. Following President Santos’s lead, twelve countries have now effcetively called for an end to the war on drugs. The significance of this is great, but the silence following it has been deafening. Perhaps because there was no pro-active media promotion of the statement, it has not been reported anywhere nearly as widely as last years ground breaking Global Commission report. That report - suypported by a global media campaign - was however, made up almost entirely of former presidents. The Tuxtla group are all incumbents. This is a game changer. It is difficult to see how for example, the Commission on Narcotic Drugs can go through its standard motions with this Declaration on the table - it a direct challenge to the restrictions placed on signatory states experimenting with alternatives to prohibtion. The same is likely to be the case for any other transnational events based on entrenched prohibtionist orthodoxy. The issue ought now to be high on the agenda of any and all summits involving Latin American countries – G20, Summit of the Americas and so on. Firstly, Are the Latin Americans seriously going to wait until the US leads them to a brave new world of peace? And secondly, the fact is that ALL countries (including the Latin Americans) are signatories to the Conventions upon which the drug war is founded. Whilst the geopolitical pressure for non-super powers to sign up and adhere to the Conventions is huge, it is nonetheless a fact that they are complicit in maintaining the legal infrastructure of the war on drugs and pursue the war with a ferocity unseen in other parts of the world. Their position would be more credible if they were to make moves nationally, regionally, and at the UN, to de-securitise drugs and develop and implement policies that adhere to human rights and public health norms. 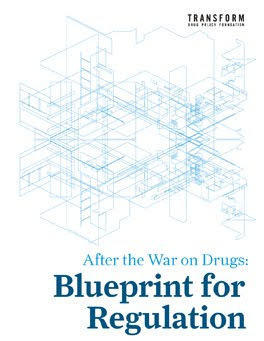 That said, this is still a watershed moment in calling time on the war on drugs and those countries that are taking the lead deserve great credit for going on the record publicly (albeit quietly). We would encourage readers of this blog to contact their elected representatives to inform them of this development and to take the time to praise those leaders who were there, for making this statement.